After a bunch of headaches with glitchy operating systems and paranoid sysops, I finally got the Moon Harvester up and running and am producing a steady supply of Carbon Polymers. I have a new Ship Maintenance Array and a couple some production arrays for small ships and ammo(mostly mining crystals). Moved the Rorqual and my Hulk miners back from 5-0. Hmm…. Am I forgetting anything? Well I guess that is enough of an update for now. Time to get back to my New Years celebration (sitting around all by my lonesome in deep space like always) Guess at least I have time to do some gas cloud harvesting in the Class 3 wormhole that has opened up in my system. Not very profitable but its something to do. 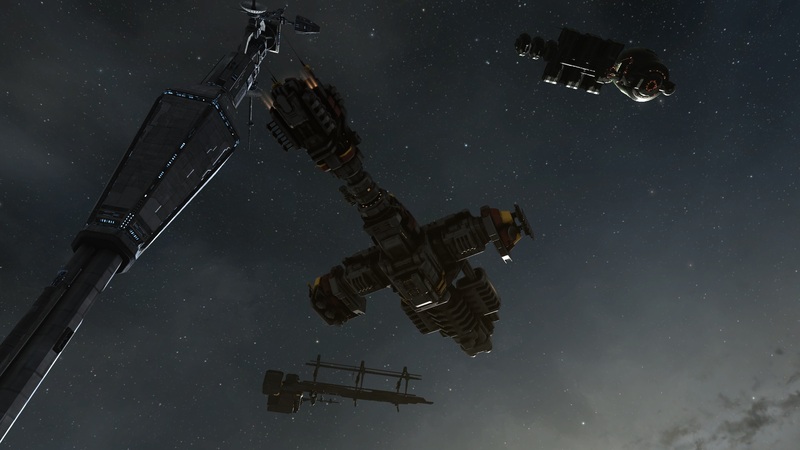 This entry was posted in Eve Online and tagged 1st world problems, I need another beer, Lonely New Years, POS management. Bookmark the permalink.